You’ve waited, we’ve waited. At times we daren’t hold our breath just in case, by fair means or foul, our final top six – the records below – were somehow prevented from coming to public attention. Yet here we are: the conclusion of Our 66. This month of October 2006 began with us introducing you to the idea of our sixty-six albums of the last six years, the sixty-six albums that have mattered the most to DrownedinSound.com during its six-year lifetime. The title of the articles is fairly self-explanatory, really. What hasn’t been as simple, by the longest shot imaginable, is the choosing of these albums, of Our 66. Throughout the process comments have been made in both positive and negative senses – wherever we’ve aligned with reader opinion, your reactionary offerings have made for interesting reading; likewise, where we’ve left an audience puzzled and, at times, pissed off, the below-article comments have again had us enraptured. There’s nothing wrong or right about this list, in the grand scheme of things: it’s a purely subjective undertaking, and we expected and continue to expect to be told that our selections are, well, “a lot of crap” to quote one disgruntled reader. Part 2 (here) saw the quality go through the roof: Geogaddi, Nurse, Drum’s Not Dead, Stories From The City…, Desperate Youth…. Each and every album from forty-four to twenty-one was a must-have release – that’s not to say that the records comprising Part 1 aren’t, but whereas a number of those albums perhaps appeal to minority audiences, those making up Part 2 are all bone-fide classics of the past six years, of DiS’s lifetime. And would you believe it: Funeral only at thirty-seven!? Some questioned our sanity as well as our selection process. Part 3 (here) swiftly re-established any debated quality control, not that we were in any doubt as to where top-ten ‘certainties’ should actually settle, once we’d ceased tearing strips off each other over the course of half-a-dozen meetings. Kid A, The Ugly Organ, Chutes Too Narrow, Rounds, Mono, Turn On The Bright Lights, Madonna, You Are Free… really, no qualification is necessary for this part of Our 66. Numbers twenty to seven are, frankly, among the most incredible-sounding, most inspiring long-play records we’ve ever had the immense pleasure of letting into our lives. Each isn’t merely a classic, but a must-own; hours of arguing resulted in a top twenty that any sensible person would – nay, should – walk across the hottest of coals to get their hands upon and ears against. The words timeless, troubled and genius have been so over used and pulled out of shape. 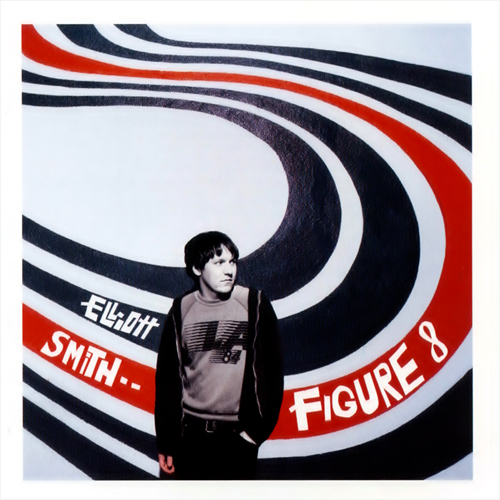 Anything you may think or feel about Elliott Smith now is as much overshadowed by the spectre and news-spectacle of his death as it is informed by the battle of mortality and existence which burdened him whilst he was with us. However, forget all of that: let's focus on Figure 8 which is and was (debatably) his finest hour. With the financial stability of Spielberg's DreamWorks label budgets behind him, the royalty cheque from Good Will Hunting in his pocket, plus his moving to LA and the turn of the century allowing an opportunity to close the chapters 'n' wounds of his previous life, you'd think things couldn't be better. On the surface this is by far his most grand and cheerful album, with cheeky piano jams and big widescreen swathes of jet streams scrawled in bright-blue skies. Yet behind the infinity/infamy nod of the record title, the iconic curly cover art and the ache burrowed within every star-grazingly uplifting moment on this album, there's an existential cul-de-sac of torment and suffering; be it drugs, open retorts to childhood sexual abuse ('Somebody That I Used To Know'), or ploughing through vertical walls of hopelessness ('Everything Means Nothing To Me') and simply dealing with the great divide where art meets commerce. Like all of Elliott's work, this is a record which deals with the insignificance and anonymous sense you get when you fly over town after town and gaze out across endless clusters and conurbations of micro machines and ants, wondering what the populous do with their lives. It is dealing with the pointlessness of so many trivial things people spend their lives dreaming about achieving and acquiring, whilst suffering from the guilty confusion of loving music and culture so compulsively. It is all of this whilst wearing an all-weather hoodie and a trashed pair of damp trainers. To try to summarise this masterpiece of melody, production, poetry, surreal tales, sixties vs. noughties pop sounds, folk vs. celebrity and humanity generally is a near impossible feat, so I submit only this. Trying to translate what this record is like, in words, is akin to trying to catch a buffalo in a butterfly net. This isn't about highlights or favourite tracks; this is a full-bodied full-length album with its own world and no compromises. Every flawless track breaks your heart without you knowing, or needing to know, any of the back stories serving as influences. Yet for all the shadowy undertones Figure 8 is the understanding friend when you're alone and acts as that gentle barrier to get lost (or drowned) within and drift away from the world. This is the sting of tear-salt in your eyes while dealing with other people and the spiritual void of a modern world, whilst knowing for sure you're not the only one who craves more. Some records meet an audience’s expectations; others shatter them like a pneumatic hammer blow to an already brittle and hairline-fractured coconut. Isis’s second long-player falls, slower than swimming through the thickest slurry and sludge, into the latter category. Personally, I’d never given the then-based-in-Boston quintet much in the way of attention prior to Oceanic; I was under the impression, which itself was partially based upon experience, that Isis were a metal band born of a fairly traditional mould – sure, the arrangements I’d heard, primarily from their debut Celestial, deviated from anything approaching standard metal, but their slow-motion take on the genre was hardly inspiring circa 2000. Come 2002 and Oceanic, though, everything had changed. New hands down on Ol’ Man Patton’s Ipecac Ranch, Aaron Turner and his troops set about turning what they’d already achieved on its head: the result was nothing less than majestic, a precedent-setting album of beauteous heaviness and immeasurable sonic depth that, simply, is yet to be bettered by any alleged peers. Gone were massive swathes and washes of impenetrable distortion and aggression; in their place were crisp and clean guitars, contemplative and occasionally female-voiced vocals. Introspection strode confidently into the breach overt confrontation had vacated, and although Turner’s growl was still comparable to that of The Beast itself, tenderness could be traced within its roar. Accolades appropriately flooded the album’s direction, and a number of UK rock magazines named it the finest record of 2002; for me it would take until the spring of 2003 for its magnificence to truly become apparent, though. At the band’s first-ever London show, grown men could be seen folding into childish apparitions of their regular selves, each individual – some old-school metallers, some drawn from post-rock circles – crumpling, teary-eyed, under the physical and emotional weight of the band’s performance. Indeed, the song ‘Weight’ was that show’s highlight, and its impact as a chapter of Oceanic is unquestionably the most memorable moment of the album on a preliminary listen, particularly due to the vocal contributions of Maria Christopher (of the band 27). But with later listens, standout favourites become forgotten and the album becomes a body of work best consumed whole – its multiple shifts and twists, turns and churns interweave and pull and push apart from each other, as if the album is a writhing, living creature. For a band so criminally ignored, Q And Not U were (they split in 2005) consistently exemplary at producing angular, often difficult pop records that were as unpredictable as they were danceable and, above all, very listenable. Whilst many proclaim their swansong Power to be the most accomplished and interested Q And Not U work (particularly for the appearance of club favourite 'Wonderful People'), it's the less-commercial No Kill No Beep Beep that wins this heart. Complex of intricacies and yet feasibly the most up-front balls-out guitar record of the period in question, No Kill… is a cohesive journey between the rhythmic intensity of tracks such as 'A Line In The Sand' through to the mellower parts of 'Kiss Distinctly American'. Dischord stumbled across a gem when they picked up the band in 1999. The two real highlights that make this album so memorable, however, are buried in amongst the tracklisting and always prove a point for discerning indie debate. For me, what sets this long-player apart from a host of other US indie-punk albums is the massive, massive chorus of 'Fever Sleeves', a song that creeps around a refrain before setting it off like an automatic machine gun of melody and joy. It's moments like these that move a band up from being enjoyable but forgettable to the upper realms of Our 66. Second only to 'Fever Sleeves' is the significantly more direct attack of ‘Lil’ Sparky’. Not giving the listener a second's breath before launching into another rhythmical barrage of jagged punk-rock, ‘Lil’ Sparky’ almost works to an opposite formula of songwriting, starting harsh and intently and winding down to a melodic anti-crescendo. It begins with every instrument given a few seconds of sole recognition, with every member of this collective force teasing you; opening door after door ‘til some snake-like tunnel of blinding lights comes alive with those echoey flames of Kele’s voice. From then on in it is all surreal snapshots of crosses on eyes, manifesto slogans, cut ’n’ pasted sound bites from newspapers and the detritus of modern society blending into one resilient mêlée of contradictions. It's a dizzy mixture of hope and fear. 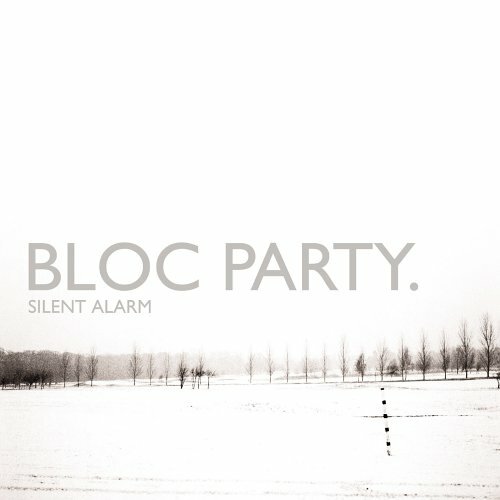 Silent Alarm is notably both the highest placed debut and British album in Our 66. Its success was no accident. It’s an album full of anthems that remind you of falling out of clubs covered in body sweat - some of which is your own. There are those guitars on ‘Positive Tension’ which claw at the plastering from historical monuments, before the strings bend until they're as celestial as mercury. Aside from the radio-friendly dancefloor bass 'n' drums, this album has such added depth in the slower moments with graceful sweeping snowstorm soundscapes (‘So Here We Are’). It’s within these quieter moments where the all-over goose bumps raise and will do so each and every single time you return to this album for years to come. Not only is this album the finest debut album of the past six years, it’s also one of the most poignant, with as much glitter as war dust in the corners of its eyes. We can't go any further in talking about this without mentioning Paul Epworth's forward-leaning production: you don't need a degree in sound engineering to feel the textures and emotions this album conjures and pours upon its audience impeccably before begging for repeated inspection. The production suss adds a futuristic feeling to the album and raises the songwriting and the band’s inventiveness to another level. Their success is not measured only in terms of sales but also in the waves of inspiration which this album sent through the intelligentsia, from art scenes to fashion worlds and beyond. This album not only made people post blogs, send ridiculous demanding mail-outs and pick up pens to write amazing things about it but has, we’d imagine, played an integral part in last year being the biggest year for guitar sales ever. And it probably encouraged some haircuts, too. Where this record truly began was a small band posting on our messageboard, the poster looking for band members; the new four-piece, then called Union, subsequently played at a few DiS nights. The rest is history. Not that this about bigging ourselves up, and the band’s roots don’t serve to lend bias to this decision at all: this is an amazing debut album which can claim a level of restraint and clarity and still contains a brave vision beyond almost everything else in the list. For every style-over-substance record which the world’s self-imposed bastions of taste may claim is better, and for every indie elitist snob who’d prefer the songs were full of bird noises which never really started who'll somehow claim this is too derivative and for every music fan, there's a melody, a poignant line, a historical monument of a riff, a sweat-dripped drum solo, a head-thrusting bass-line and a graceful ice-cap of a soundscape. There’s even a moment either on TV, at a festival or that thing called Real Life that this record binds itself to like pearl to its oyster. I'm 15: young, filled with ideas, testosterone and unfulfilment. I want to change the world but I'm incapable of getting out of bed. Well, not incapable: it's just more of a “why should I?”-type situation. It's done nothing for me, so why should I make any effort for it? Enter: Relationship Of Command. Utterly oblivious to the world of At The Drive-In beforehand, I churlishly ambled to Selectadisc to pick up a CD I'd read “rocked hard”; a friend had also suggested it was a great album to “jump around” to. I listened to it, told everyone who'd recommended it to me that they were full of crap and left it alone, untouched in my racks. Needless to say, one exaggerated heartbreak later and I was in desperate need of a release. Something with more qualifications than my favourite album of the time (...Trail of Dead's Madonna) and yet still maintaining a penchant for rock. ROCK. Now it began to click together. The spasmodic riffery of Omar Rodriguez that plays out behind the caterwauling and battle cries of Cedric Bixler; the sheer intensity of tracks like 'Cosmonaut' and 'Catacombs'; the lyrical bouncy castle that jumbles around rhetoric and poetry in equal measure to leave most listeners beautifully confused. And of course, THAT single. 'One Armed Scissor': the rock club staple that, whilst also being able to send a dancefloor into raptures, excels at the improbable task of being one of the greatest alternative pop songs of all time, and being the ideal anthem to smash things up to. Many an artist composes and releases music as a medium of escapism, a way of distracting attentions personal and unknown away from the problems of the everyday and landing the listener in the middle of a whole new wonderful world of possibilities and potential ready to be realised. 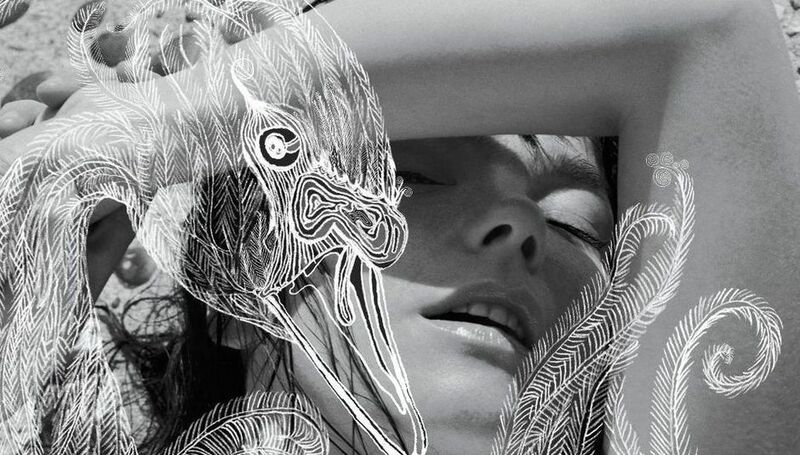 Yet Björk’s fantasy lands only ever seemed made for one: herself. Vespertine is the one-time Sugarcube’s fourth long-player proper, remix records and soundtracks rightly set aside. A deeply personal document of one woman’s most intimate thoughts and emotions, her physical encounters and half-asleep recalling of said interactions, the listener almost feels embarrassed for stumbling into her personal enclave of outpouring and reflection. Vespertine is able to render the first-timer awkward and ungainly, listening through squinted eyes if such an approach were possible; the previously uninitiated can easily be numbed by the graphic nature of a selection of Björk’s lyrical threads here, yet with repeat visitations what might have once seemed crude reveals itself to be anything but. The music and lyrics alike of Vespertine can be summarised by but one simple word: transcendental. Truly, this is an album of fantastic escapism, one that lifts its audience above and beyond the mundane routine of their existence, unlike anything its maker has unleashed upon her public before or since its 2001 birth; it’s arresting in its closeness, it invades the listener’s personal space with a flutter of eyelids and the slightest of smiles, lip gloss catching the light of a single candle that flickers from the adjoining glands of Björk’s deepest synapses. This is sexual and dirtily so, yet inviting and intoxicating enough for its highly-charged eroticism to almost be overlooked entirely if the listener so chose. The reason is the stunning beauty, an abstract extravagance, of its arrangements. Even the simplest of lyrical messages – ‘It’s Not Up To You’ is one of the most matter-of-fact offerings (and a single that never was due to the birth of Björk’s daughter) – is presented magnificently, micro-beats and music boxes joined by an orchestra of angels at the song’s close. Even if lyrics are wholly ignored, Vespertine can touch even the stoniest, iciest of souls with its crystalline beauty and swells and surges of clicks and swooning strings. Although the album topped Billboard’s Electronic Album chart in the year of its release, this is a far from heartless, un-human and inorganic affair: harps and strings provide a balance to the alien cricket calls and crackling circuitry throughout. To call the effect overpowering is selling its potency short: Vespertine is entirely unique in its affecting of audience senses, and its presence is felt long after the final loop of ‘Unision’, its spectacular yet tender closer, fades to silence. The album’s penultimate song, ‘Harm Of Will’, is so stunningly beautiful in its layered minimalism that it’s impossible to imagine anyone daring to speak above its splendorous four-something minutes. To explain its perfection is to shatter its spectral magnificence: listen and swallow the forming and reforming lumps in your throat in absolute silence. Björk’s fairytale arrangements never seemed so accessible as they did – as they do – on Vespertine: the icicles on a piano rush of ‘Pagan Poetry’ sees the Icelander construct a sky-scraping tower of scattered beats and geyser bursts, but she tears her work down for the rawest expression of the purest emotion ever to be heard on a contemporary album (read: a record released during DiS’s lifetime). “I love him” she repeats, her breath falling short on what would be the eighth cycle; the songs fades out to a surround-sound chorus of detached voices and plucked harp strings. Immediately, the listener is drawn into her world of mystery and magic, of deep love and crushing pain, of peerless beauty and uncommonly graphic penetration. Whenever it seems all too much, respite arrives: the instrumental ‘Frosti’ samples the sound of snow being squashed underfoot, and the connection between planes astral and physical is perfectly realised. Come talk of glaciers on ‘Aurora’, the treading of snow still audible, we’ve all tumbled into Björk’s palace of shimmering northern lights ready for swallowing, her hideaway of hitherto never confessed sins of the flesh and form, her most magnificent of faraway over-the-horizon lands the average individual can only access through the express permission of an existing occupant. This place’s population: one. Consider Vespertine an outstretched arm of invitation, a cracked-open door that leads to a place each and every one of us should visit whenever our days seem a little darker than usual. Already a maverick talent, Vespertine singled Björk out as the most visionary artist working within DiS’s six-year lifetime. Its position here is no mistake, no result of us wanting to go against the grain somewhat by displacing a male-dominated and rock-orientated act from the top spot in favour of a more ethereal (an overused term but one inarguably accurate here) and very female talent; we’re not in this to spark controversy, or alienate geeetar-fancying readers. We love this album, a work of celestial grandeur unlike anything else we’ve ever heard, more than anything else. Full stop. It exists out of time, an anomaly of popular music, the creation of an artist to whom ‘convention’ always seemed a curse word. Need your memory stirred somewhat? Cool: here’s a rundown of Our 66, from 66 to ONE! The download links will either take you to tracks or the entire album, or songs from another album by the same artist, depending on what’s available. 35) Youthmovie Soundtrack Strategies Hurrah! AND FINALLY, before you all swan off for a pint, here are some albums that we love, each and every one from the past six years, but that we couldn’t include in the list of Our 66 simply because we, DiS Records, released them!